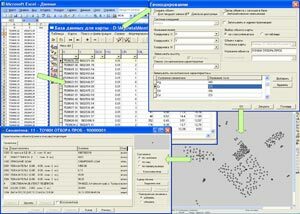 The block of program modules intended for data processing of land researches in office conditions, for drawing results of calculations onto an electronic map and formations of accounting documents is stipulated in GIS "Map 2011" for ensuring experts engaged by land management. 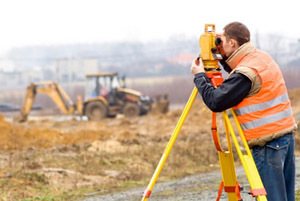 The software which are a part of the block GEODESY AND LAND MANAGEMENT allow to solve the majority of the tasks standing before the organizations, performing field works for drawing up the large-scale plans and for taking the ground areas and objects of the real estate onto the cadastral account. Three-dimensional model of district in GIS "Map 2011" represents a surface, built with taking into account a relief of district, on which the image of a vector, raster or matrix map can be imposed, and three-dimensional objects located on it corresponding to objects of a two-dimensional map. It is a high-grade three-dimensional map which allows to choose objects on model with the purpose of inquiry of the information about object, to edit their image and characteristics. On three-dimensional model it is possible to see both ground, and underground objects. GIS "Map 2011" allows to carry out edition of individual copies of maps and to form map image in the standard graphic formats used for offset printing. The image of a map can be printed on any output device having driver for OS Windows, or can be saved into formats: TIFF CMYK, PCX CMYK, PostScript.